Motor Ex attracts many of the top businesses and organizations in the automotive industry, as well as over 25,000 attendees, with many Kiwis making the hop across the ditch especially to attend. This year, Victorian Performance Wholesale (VPW) will have a large presence, with their large range of parts available to order. 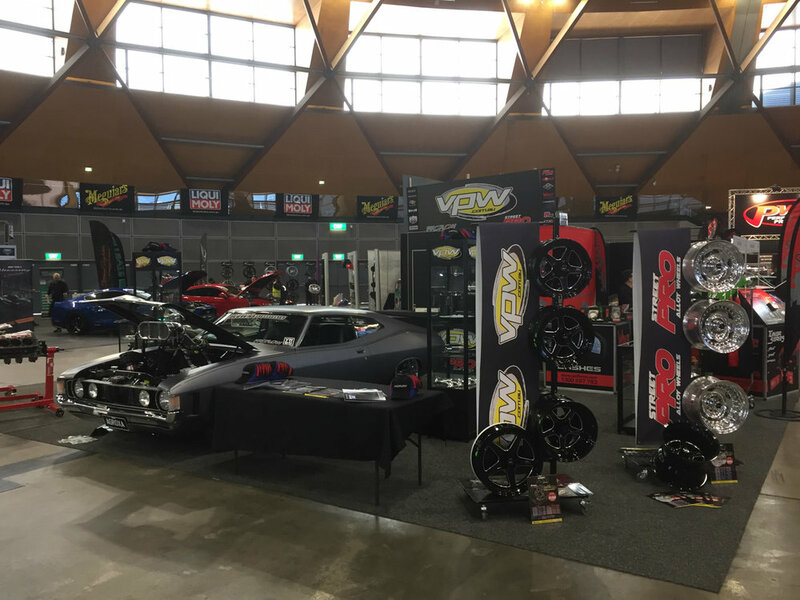 VPW has been supplying quality performance parts to the Australian and New Zealand automotive industry for more than three decades, and is one of Australia’s largest suppliers of aftermarket automotive and motorcycle products. Starting out in 1981, the business grew from a small, family-owned business selling standard replacement parts into a performance parts dealer known as Epping Street Performance. In 1991 it morphed into its current incarnation as VPW, and the company began marketing parts via mail-order catalogues to trade and retail customers. Today, the company ships 40ft containers from the US every week, including brands such as Weld Racing, Holley, and Comp Cams. This high-volume shipping provides competitive pricing in the New Zealand and Australian marketplace. VPW keep a keen eye on changes in the performance aftermarket industry and service a diverse range in the automotive industry including street cars, classic restoration, drag racing, circuit cars, sports compacts, and oval track racing, and more recently, they have begun supply for motorcycles and industrial products. These brands include Proflow performance products, RTS driveline components, Street Pro wheels, Proforce safety gear and Attitude motorcycle products, which are proving successful and continue to grow. If you can’t make it to the Motor Ex show in Melbourne over May 26–27, visit vpw.com.au to check out their catalogue.